Rated PG, Walt Disney Animation Studios’ 56th animated feature “Moana” is out on Blu-ray. One of the most versatile actors in modern cinema, Dwayne Johnson is a global box-office powerhouse with film revenues exceeding $2 billion worldwide. 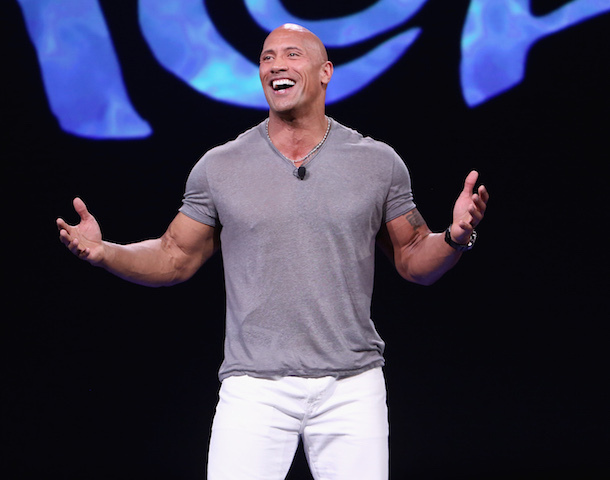 Whether it’s reprising his role as Agent Hobbs in the adrenaline fueled action film “Furious 7,” making audiences laugh in the R-rated comedy “Central Intelligence,” or playing the heroic “Hercules,” he always tackles diverse characters. A film inspired in part by oral histories of the people and cultures of Oceania, “Moana” is a CG-animated feature film about an adventurous teenager who sails out on a daring mission to save her people and her island. Played by 15-year-old newcomer Auli’i Cravalho, most of the cast are from the Pacific Islands and for Johnson, who is very connected to his Samoan roots, the role offered an opportunity to showcase his culture. “Disney showcasing the Pacific Islands for the very first time this way is historic,” says the entertainer who voices Maui, demigod of the wind and sea, who steals the heart of Te Fiti and unleashes a darkness that threatens the habitat of islanders in the region. Directed by Disney veterans John Musker and Ron Clements, the same directing duo who worked on the classics “The Great Mouse Detective,” The Little Mermaid,” “Aladdin” and “The Princess and the Frog,” it’s a delightful and inventive animated fantasy flick with a splendid blend of animation, music and culture. With music from Tony, Emmy and Grammy-winning lyricist/composer Lin-Manuel Miranda (“Hamilton”), three-time Grammy-winning composer Mark Mancina (“Tarzan”) and Te Vaka’s founder and lead singer Opetaia Foa‘i, Johnson belts out several notes in the action, adventure drama, which wasn’t a stretch for the 44-year-old actor. Born in San Francisco and raised in Hawaii, Johnson followed in the footsteps of his WWE Hall of Fame father, Rocky Johnson, and grandfather, High Chief Peter Maivia, by joining the competitive sports entertainment world of the WWE. 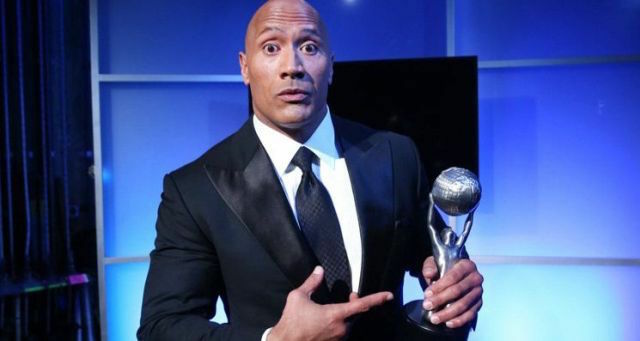 His character, “The Rock,” became one of the most charismatic and dynamic characters in the industry, dominating wrestling coverage and storylines for the better part of a decade. He rose to fame, thanks to his exploits in the pro wrestling ring, and got his first break in the movie business in 2001’s “The Mummy Returns” playing a half-naked warrior who later turns into a half-man, half-scorpion monster. His 2002 follow-up film, “The Scorpion King,” broke box-office records that year, becoming the greatest April opening of all time. Movies “Be Cool,” MGM’s sequel to “Get Shorty,” the 2004 remake “Walking Tall”; and Universal’s “The Rundown” followed and it wasn’t long before he became an A list actor. In 2009, Entertainment Weekly named him to the top of Hollywood’s next A-list alongside Robert Downey Jr., James McAvoy and Amy Adams. Last year, he was named People Magazine’s sexiest man alive and just last month won the Entertainer of the Year accolade at the NAACP Image Awards. Beyonce, Chance the Rapper and Viola Davis were nominated in the same category. With his lengthy and lucrative foray into the film world, Johnson has starred in over two dozen films that also include “G.I. Joe: Retaliation,” “Race to Witch Mountain”; “The Tooth Fairy”; “Planet 51”; “The Game Plan” and “Journey 2: The Mysterious Island,” which grossed more than $325 million in 2012. It’s an accomplishment the 6-foot-5, 290-pound entertainer, who also created The Rock Foundation which educates, and motivates children through fitness, takes in stride. Known for his charismatic smile and bulging biceps, Johnson had a rough childhood and was arrested nine times by the time he was 17. Now a dedicated philanthropist, he is the National spokesperson for the Entertainment Industry Foundation’s Diabetes Aware Campaign and serves as a National Celebrity Wish Ambassador for The Make-A-Wish Foundation. Johnson, who has two daughters, Simone Alexander Johnson with ex-wife Dany Garcia and Jasmine Johnson with girlfriend Lauren Hashian, stars on the HBO drama “Ballers,” in which he plays an ex-football star-turned-money manager. He can be seen in the upcoming “Jumanji,” remake alongside Kevin Hart and “Baywatch” and is currently shooting “Fast 8,” which releases in U.S. theaters next month. The busy actor is also tied to the remake of the cult classic “Big Trouble in Little China,” “The Jansen Directive” for Universal, and an action- based feature “Rampage.” In addition, Johnson’s production company, Seven Bucks Productions, will be releasing a youth prison documentary, “A Rock and a Hard Place,” for HBO, as well as the Spike special “Rock the Troops” this fall.